Maybe you’re traveling to Hawaii with small children and need to find beaches that provide safe swimming. Or perhaps you’re not a strong swimmer yourself and prefer calm conditions in which to enjoy the ocean. Whatever your reason, finding the right beach can be the difference between enjoying a peaceful day frolicking in the ocean and fighting strong surf to stay afloat — and who wants to leave the beach scared and exhausted?! 1. Kapalua Beach (Kapalua, West Maui): According to John, “Kapalua is a nice little pocket of curved white sand beach. During winter, when surf kicks up on Maui’s west side, its two lava-rock points block the surf so the beach stays calm. 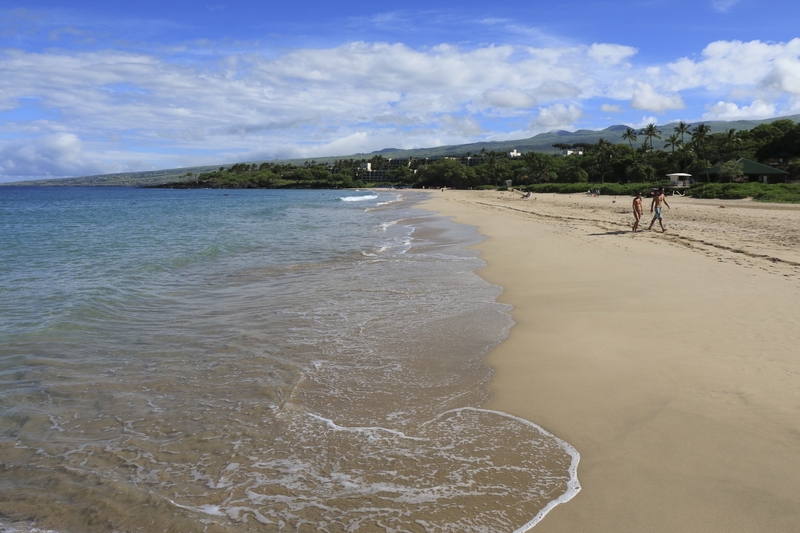 It’s a great beach for swimming and snorkeling…” On a personal note, Kapalua Beach IS one of the nicest beaches on Maui, and it’s protected from extreme high surf (usually), which makes it a great beach for kids. Plus, you’re in Kapalua, home to the Ritz Carlton — should you need a cocktail or a massage, just book a night at the hotel, and you’ll REALLY leave relaxed! Two lava points block the high surf at Kapalua Beach on Maui. 2. Salt Pond Beach Park (Hanapepe, West Kauai): John has a lot to say about Salt Pond Beach Park: “It’s a beautiful setting — a wide white sand beach, nice and clear water, and a lagoon created by a rock barrier offshore… There are tidal pools with lots of marine life for kids to explore. During the summer, you can watch the caretakers of the beach’s salt ponds make paakai — Hawaiian sea salt.” I’ve also heard this beach is a great place to view monk seals! Plus, you will find public parking, bathrooms, and showers (never underestimate the importance of those!). One of the coolest things about Salt Pond Beach Park on Kauai is the fact that some people still collect salt there. 3. Hanauma Bay Nature Preserve (Hawaii Kai, East Honolulu, Oahu): Most folks know of Hanauma Bay Nature Preserve as the premier place to snorkel on Oahu, but did you know it’s also a great swimming hold? According to John, “… The bay has a large sand pocket in the middle of the reef, called ‘The Keyhole’ that is perfect for swimming. The horseshoe-shaped bay was created when ocean water broke into the outside wall of a volcanic crater. So when you’re in Hanauma Bay, you’re swimming inside a flooded volcano, a unique setting.” I always advise my “mainland” guests visit Hanauma Bay — not just for the snorkeling, but because I don’t have to worry too much about an accident! 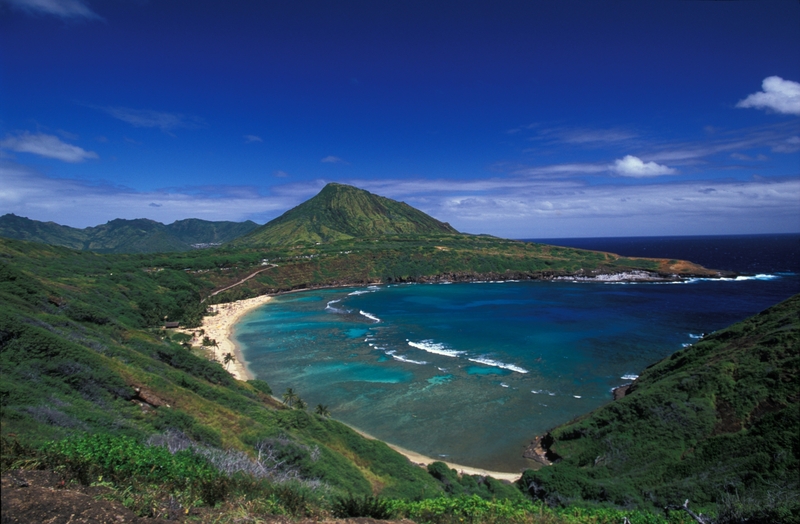 Hanauma Bay is one of the best snorkeling spots, but it's also a great place to just swim. It's a popular visitor destination, though, so be prepared for crowds. 4. Hapuna Beach State Recreation Area (South Kohala Coast, Big Island): Hapuna Beach State Recreation Area is one of the most picturesque landscapes in all of Hawaii, so it’s a bonus that the area is also great for swimming. John says, “Hapuna has a shallow sandbar that heads out about 50 yards so little kids can play safely near shore, while older kids can bodyboard further out. It can be dangerous during the winter months when there’s higher surf. But when it’s calm, it’s great for families. 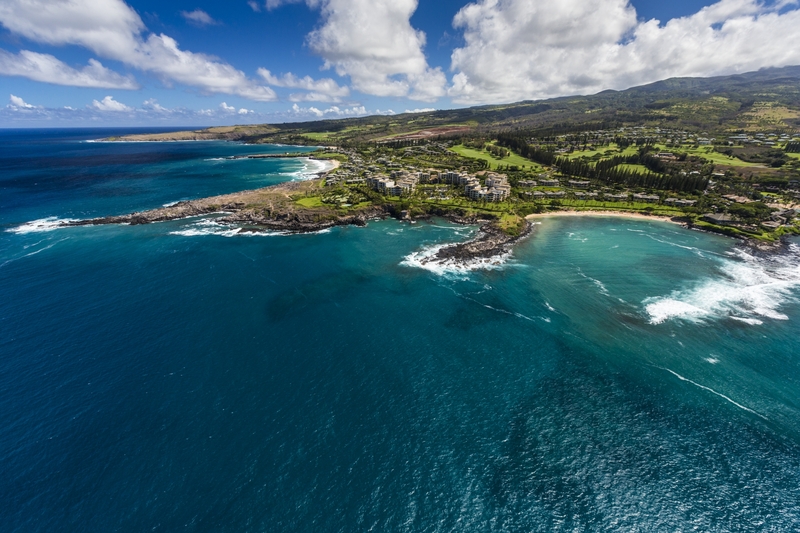 There are restrooms, picnic areas and lifeguards…” In the summertime, there’s no better beach for kids, and you have access to South Kohala’s amenities. 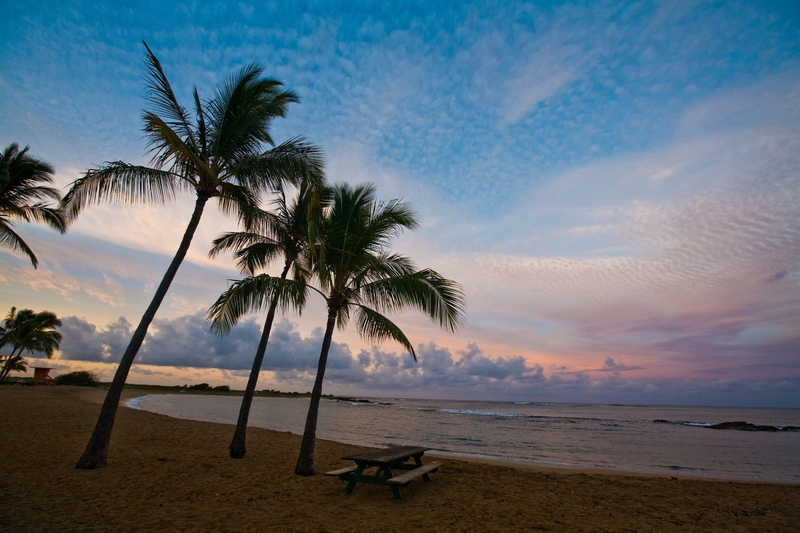 I especially love to stay at the Hapuna Beach Prince Hotel, which is right on the beach. At Hapuna Beach State Recreation Area on the Big Island, you can enjoy a peaceful day in the ocean, since high surf is rare here. Sure, there are lots of folks who love high surf and dangerous currents, but, frankly, that’s not the choice for most struggling swimmers or families. So, take note of the best swimming beaches in Hawaii, and enjoy your ocean WITHOUT all the risk.